What causes wrinkles and lines. We naturally lose skin elasticity as we age with reduction of collagen stores and reduction of collagen strength. Frequent facial expressions that come with everyday living and interacting with others. Muscle, bone and dental changes. There are two types of wrinkles. Dynamic wrinkles are present when facial expression occurs but disappear when expression relaxes. Over time as we age these lines will move on to become static wrinkles. This process is accelerated by the factors mentioned above. Static wrinkles are visible during expression and remain present at rest. 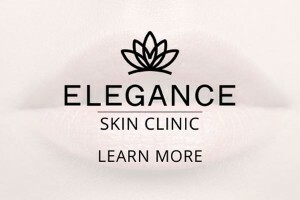 At Elegance skin clinic we offer many treatments to reduce wrinkles, allowing you to look and feel rejuvenated. We are happy to discuss any concerns you have and how best they be treated using only the highest quality products available. The required dose for any treatment is tailored according to the individual patient, the desired outcome and the mass of muscle been injected. The dosages required may change over time if treatments are performed regularly.